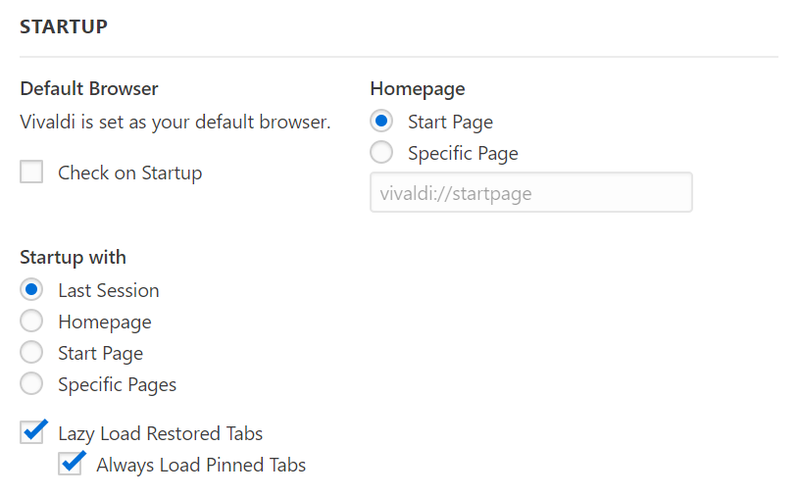 Startup options for Vivaldi are configured in Settings > Startup > Startup with section. When the browser is set to open with the last session, a good option to make it go faster is to lazy load the tabs. That way only the active tab is loaded and other tabs will fully load only when you go to them.